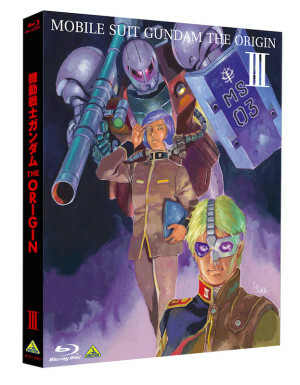 As many of you recall last year we announced we were working with our partners at Bandai Visual in Japan to give UK fans the opportunity to own Gundam The Origin I: Blue-Eyed Casval Blu-ray Collector’s Edition and Gundam The Origin II: Artesia’s Sorrow Blu-ray Collector’s Edition. 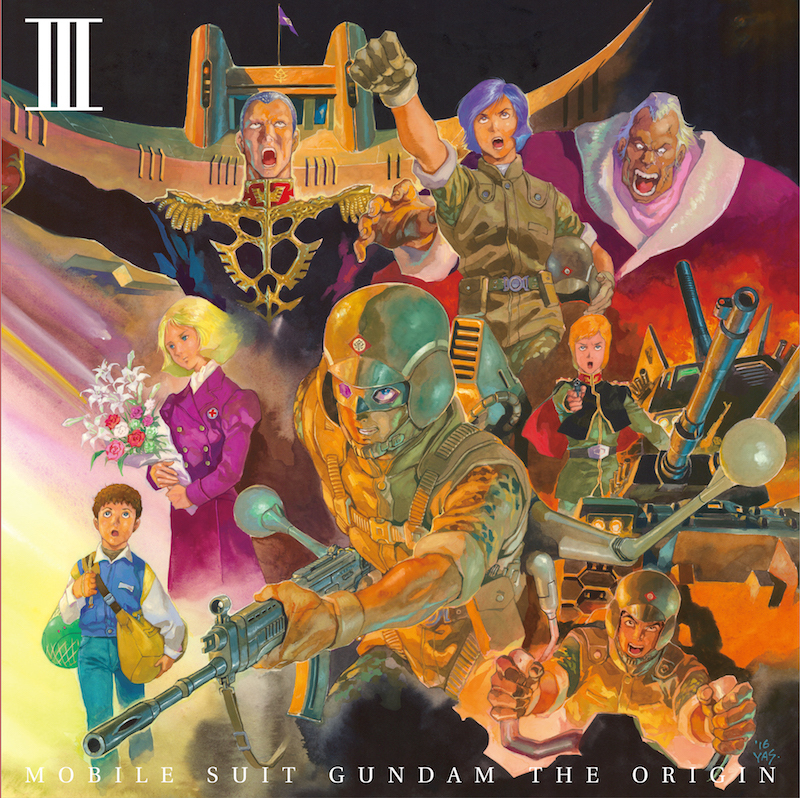 Today we are happy to announce that we will be giving UK fans the same opportunity with the third OVA in the series Gundam The Origin III: Dawn of Rebellion Blu-ray Collector’s Edition [Export Version]. As was the case before our pre-order scheme in conjunction with Bandai Visual allows UK fans to pre-order this upcoming release knowing that it will be sent from our offices here in the UK (once stock arrives – expected June 2016.) Though please note this is a Japanese product. The main feature itself will include the English language dub and English subtitles to accompany the original Japanese audio but any additional features on the disc itself and/or the physical items included in the package itself will be in Japanese only. We (Anime Limited) are now taking pre-orders for this Gundam The Origin III: Dawn of Rebellion for the UK and European customers through our AllTheAnime.com web shop. The deadline to pre-order this by is 12pm on Monday 4th April 2016. The product itself isn’t released in Japan until late May 2016, so we anticipate our stock to arrive following the Japanese release date in June 2016. Obviously if our allocation arrives earlier than that we will work to fulfil pre-orders sooner. Universal Century 0074. 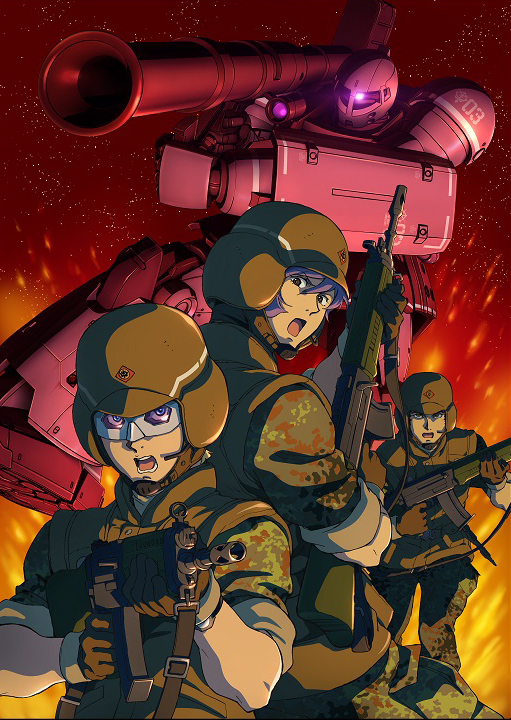 Since leaving Texas Colony, Édouard Mass has camouflaged his identity and enrolled in the Autonomous Republic of Zeon Space Defense Military Academy under the name of Char Aznable. He has built friendship with his classmate Garma, the scion of the Zabi family. Gradually the two have become acknowledged by other students. 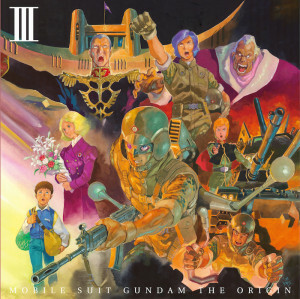 WHAT’S IN GUNDAM ORIGIN III: Dawn of Rebellion BLU-RAY COLLECTOR’S EDITION? The deadline to pre-order this by is 12pm (UK) on Monday 4th April 2016. The release of the product in Japan isn’t until late May 2016. We anticipate our allocation to arrive following the Japanese release date and estimate orders to be fulfilled during June 2016. Payment for the product will be taken within 24-48 hours of the pre-order being placed. We can only fulfil orders of this product to UK, Ireland and Scandinavian countries. 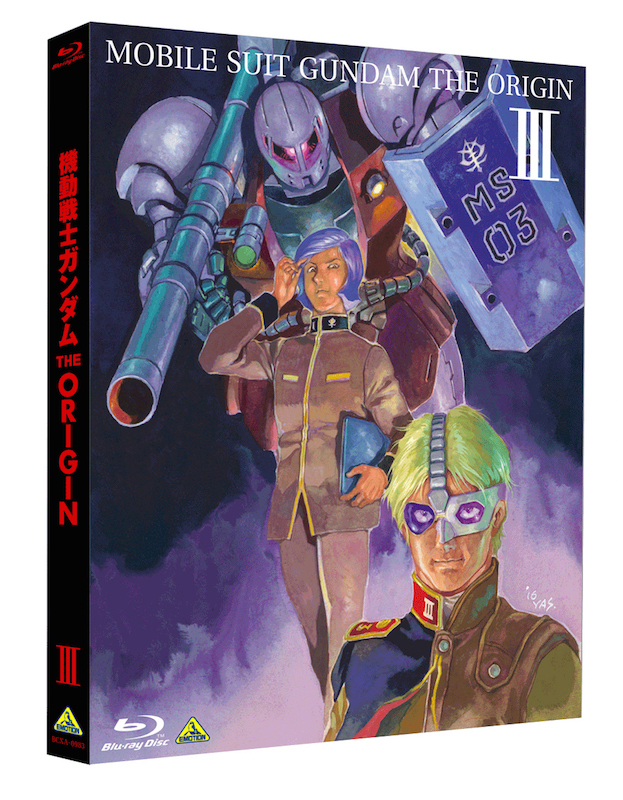 In the mean time we also want to make it known that we now have limited stock (while stock lasts) of both Gundam The Origin II: Artesia’s Sorrow in addition to Gundam The Origin I: Blue-Eyed Casval available to order at our web shop. Details on those can be found HERE. For those living in France and Belgium, you can place an order at our French team’s AllTheAnime web shop HERE.